Ashley Sweet is the first of the injured trio to find his way back on to the field with Ebbw Vale and he is working towards selection for the opening league game. Hoping to join him in the selection mix for the initial league games are back row favourites, Cameron Reagan and Rhys Clark who is well ahead of his initial recovery schedule. With that good news comes the bad news that utility back Dai Langdon will undergo a shoulder operation that will rule him out for 3 to 4 months of the season. The club has acted swiftly to that news and has been able to tempt back former Steelman Carl Meyer following his departure from the Dragons. Carl was out injured for most of last season but has worked his way back to fitness and will be gaining much needed game time to prove his fitness and regain a professional contract as soon as possible. 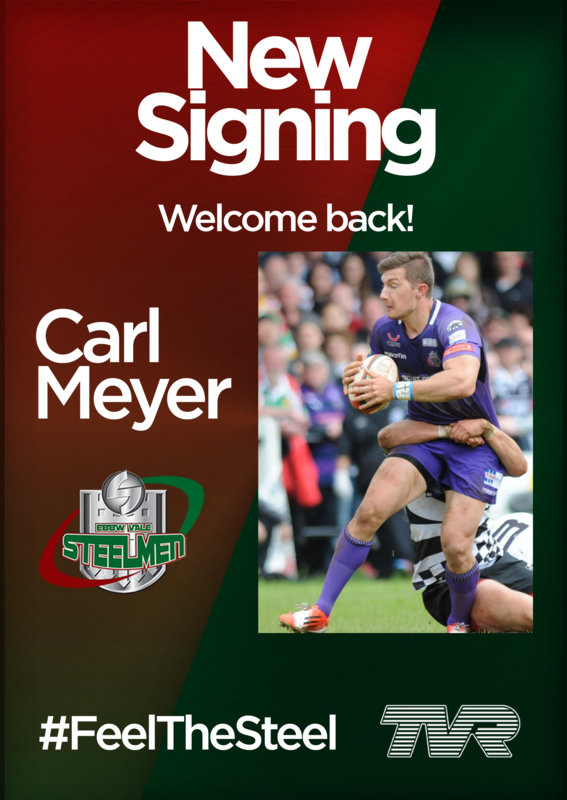 Carl has trained with the squad and is looking forward to being in Steelmen colours at Nantyglo on Saturday when the final pre season game with Chinnor takes place.